Luigi Fioravanti is a 9 time UFC veteran with notable wins against opponents such as Dave Menne and Luke Cummo. Luigi is a kickboxer and BJJ black belt under the American Top Team and a boxer. With 33 professional MMA fights (22-11), Luigi has a depth of experience and knowledge that few can claim. Finally, Luigi is a former Marine infantryman and has deployed in support of Operation Iraqi Freedom. After careful review of his experience, technical proficiency, and character, the Pancrase Promotions Committee has awarded Luigi his 2nd Degree black belt in Pancrase Mixed Martial Arts. Luigi owns the Kakuto Dojo MMA school in St. Louis, MO. 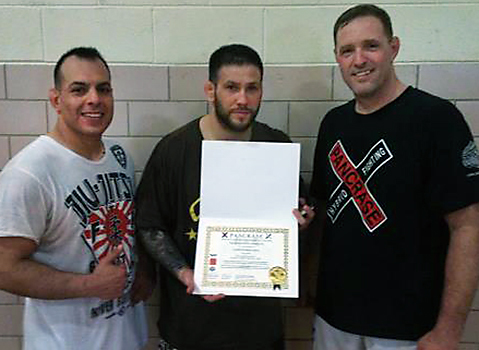 Pancrase black belt, Enrique Watson hosted a MMA seminar at Fort Leonard Wood, MO on 6 April, 2013. The seminar included clinics by Pancrase black belts Jerry Roeder and Luigi Fioravanti. Enrique runs a MMA club on the base with students and fighters from diverse backgrounds and varying experience levels. With several amateur and professional fighters showing up for the seminar, Enrique considered it a great success and looks forward to future developmental opportunities. Enrique expects to be opening a Pancrase MMA affiliate school in Waynesville, MO within the next six months. Fresh off unifying the welterweight title in November following an 18-month absence due to injury, UFC® welterweight champion Georges St-Pierre returns to Montreal's Bell Centre on March 16, 2013 to face former STRIKEFORCE® champion Nick Diaz. St-Pierre (23-2) has scored 10 consecutive victories in his dominant reign atop the 170-pound division but no other opponent has motivated him as much as the fiery and unpredictable Diaz. "Georges St-Pierre asked to fight Nick Diaz because he knows they have unfinished business, and Nick Diaz agrees," UFC President Dana White said. "There's been a lot of talk about who I should fight next but this was really the only choice for me," said St-Pierre. "He's made it personal and I personally can't wait." During his reign as STRIKEFORCE® welterweight champion, Nick Diaz defeated archrival KJ Noons and finished both Evangelista Santos and Paul Daley en route to becoming the organization's best 170-pound fighter. He's since returned to the UFC® with an impressive win over former two-time champion BJ Penn before an interim title loss to Carlos Condit and a year-long disciplinary suspension. Diaz now, though, gets the fight he's so eagerly awaited. "This is the fight I want," Diaz said. "I want to go out there and beat Georges St-Pierre in Montreal and show that I'm the best welterweight in the world." UFC 158 live Saturday at 8:00pm from your MMA Party headquarters: BOONES TAVERN. The viewing party will be hosted by none other then Brandon RUKUS Thatch, Thatch spent the last month in Canada as part of Georges St.Pierre's training camp. RUKUS will be on hand signing RFA 7 posters for his upcoming March 22nd Main Event bout. Thatch will also have tickets available in special RUKUS FAN SEATING areas. Come down, watch the fights, hang with RUKUS, and get tickets to RFA 7 on March 22nd!! DENVER, Colorado - Resurrection Fighting Alliance (RFA) announced that it will make its first foray into the state of Colorado with RFA 7 - Thatch vs. Silva on Friday, March 22nd. The event will take place at the 1stBank Center in Broomfield, Colorado, which is a suburb of Denver, Colorado. RFA 7 will be headlined with an explosive welterweight contest pitting local MMA star Brandon "Rukus" Thatch (8-1) against Black House MMA standout Leandro "Batata" Silva (18-7) in the main event. This fight will appear on the main card, which will be televised live on AXS TV at 10 p.m. ET / 7 p.m. PT. Thatch and Silva have knocked out a combined 17 opponents, including 14 in the first round. That all but guarantees this main event will be filled with nonstop, crowd-pleasing action, as these two talented KO artists look to entertain their nationally televised audience. Thatch and Silva are also stablemates of two of the best fighters in the world. Thatch trains alongside UFC welterweight champion Georges St-Pierre, while Silva trains with UFC middleweight kingpin Anderson Silva. That means this fight could add another layer of intrigue to the potential superfight between St-Pierre and Silva. While the two UFC champions will not be fighting this spring like many had hoped, Thatch vs. Silva will surely intensify that rivalry, as both men are longtime friends and training partners of the RFA 7 headliners. In preparation for Silva, Thatch is currently training in Montreal, Quebec, Canada at the famed Tri-Star Gym with St-Pierre. He was hand-picked as a training partner to help St-Pierre prepare for his successful title defense against Carlos Condit last fall and Thatch has been working with the team ever since. "It's amazing being at Tri-Star and working with GSP. He's definitely one of my favorite fighters, because he is so classy and effective," said Thatch. "I'm going to stay here working with GSP and the team, until the first week of March, and then finish up my training with Grudge back home in Denver." Thatch also said he was honored to be selected as the headliner for RFA 7 and is excited to represent his hometown. "Headlining RFA 7 against Leandro Silva on AXS TV is a huge opportunity to further my career and to fight an athlete who will bring out my best. It's an amazing feeling when I walk out and the whole crowd is cheering. I feel like the arena is my house and I truly consider myself the fighter who represents the 303," said Thatch. Training out of the equally respected Black House MMA gym in southern California, the Brazilian standout Leandro Silva expects to secure another headline news victory for his home country of Brazil at RFA 7, after making a successful American soil MMA debut last year. "On March 22nd, I'm going to show American fans what the Brazilian fans already know. That I am a complete fighter. Everyone is going to see what I'm capable of in the cage on AXS TV, and believe me, they will be talking about my win at RFA 7," said Silva. The co-main event of RFA 7 will feature a 177-pound catchweight special attraction between RFA welterweight star Chidi "Chidi Bang Bang" Njokuani and local middleweight champion Jeremy Kimball. The main card of RFA 7 will also include the return of Sergio "The Phenom" Pettis as he squares off with fellow RFA fan favorite Matt Manzanares in a highly-anticipated flyweight bout. Njokuani and Pettis are the younger brothers of UFC stars Anthony Njokuani and Anthony Pettis, while Kimball and Manzanares train locally and will enjoy the home crowd. Tickets for RFA 7 - Thatch vs. Silva are on sale NOW and available through www.Tickethorse.com or by calling 866.461.6556. Colorado customers can dial locally at 303-53HORSE. Tickets start at $25. For VIP Status, eight-seat catered cage-side VIP tables are available by calling 303-521-0966. KICKDOWN 106 - "Super Brawl"
On Friday February 1st the Kick Down MMA promotion begins it’s 12th year in operation with the 106th edition titled “SUPER BRAWL” in what will be a 10 bout fight card with 2 titles on the line. Fighters from Colorado, Wyoming, Nebraska and beyond will showcase their skills including the Joey Guerra and Benjamin (Larry) Williams when the two face off for the Kick Down Jr. Lightweight professional title in the main event. Erik Williams will face Dean Burley in the co-main event for the middleweight title. One women’s bout and 11 new comers to the promotion. Doors open at 6:30 PM call 720-422-5154 or 303-692-4865 for tickets . Aurora, Colorado – RING OF FIRE MMA returns to action on Saturday February 09, 2012. For the first time in its 13 year history, the promotion will produce a live event on an active duty military base. The evening will consist of up to ten bouts and will be headlined by a battle of Brazilian JiuJitsu Black Belts as Alvin “KID” Robinson faces Fabio “JUNGLE BOY” Serrao in the main event. Robinson is a veteran of the UFC, Bellator and is a former ROF Champion. Robinson is a black belt under Royce Gracie from the legendary Gracie family. The former collegiate wrestler has a professional record of 13 wins and 7 losses. Alvin is also a devoted Christian and is a youth leader at his church. Fabio JUNGLE BOY Serrao hails from Manaus, Brazil. He is a 2nd degree black belt under BJJ Grand Master Osvaldo Alves. Alves has been trainer to some of the biggest names in the sport including Vitor Belfort, Paulo Filho and the Nogueira brothers. Serrao has a professional MMA record of 5 wins with 2 losses. In grappling competition Serrao is a 4 time NAGA World Champion, Brazil JiuJitsu National Champion, and Amazon State Champion. 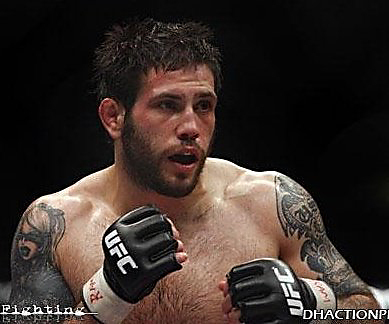 He is a Team Link competition member and training partner to UFC heavyweight Gabriel Gonzaga. “I am Very happy to come back and fight at ROF again, especially against Alvin Robinson, who is a very good fighter and I have a lot respect for him. But I have two good reasons to win this fight; first I studied my whole life at a military school so I will be fighting for the troops on base. The second reason is because I am not fighting just for me, I represent a big team and a big social project called “Jungle Boy Project” that teach Brazilian Jiu Jitsu for free to the poor kids in my hometown Manaus. My victory is their victory…I will use the money from the Fight to help the kids of the project. In the co-main event of the evening UFC veteran Tyler THUNDER Toner takes on Bellator veteran Cody Carillo. Both fighters are known for their striking abilities and come from great camps. Toner fights out of EASTON BJJ and the famed GRUDGE Training Center. 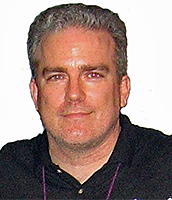 Toner has been a fixture with ROF since 2006. His position in the sport quickly gained traction with successful bouts in Strikeforce, WEC, UFC and Shootboxing, where he upset World Champion Kenichi Ogata by KO in Ogata’s home country of Japan. Carrillo has a Muay Thai background and hails from Janjira Muay Thai Kansas. He amassed a 14-4 amateur career before turning professional in 2011 on a Bellator FC event. Since going pro he has fought 12 times with a 7-5 record, with his last 3 bouts all ending by KO or TKO. • Bouts featuring members of the Army, Air Force, Air Force reserves and Marines. “Buckley Air Force Base is honored to host this event and build these standards for our base and the Military members we serve!” said Commercial Sponsorship Coordinator Leslie Gaylord. “I have worked for the Military over 7 years in Special Events and bringing this to Buckley will be legendary for them! The official Weigh In for BUCKLEY MMA FIGHT NIGHT will be held Friday February 08, at Noonan’s Tavern and Banquet Hall. The event is open to the public and starts at 7:00 pm. For more information or the latest RING OF FIRE news, visit www.ROFMMA.com. For more information on SHAMELESS MMA, visit www.SHAMELESSMMA.com. For more information on the 460th FORCE SUPPORT SQUADRON, visit www.460FSS.com. For more information about NOONANS, visit www.NOONANSBANQUETHALL.com. We are pleased to announce that Mr. Jeffrey Malott has been promoted to the rank of 1st degree Black Belt of Pancrase Mixed Martial Arts - Technical Certification. Mr. Malott is a highly regarded referee having overseen more than 3000 professional and amateur bouts including; three world championship and fifteen state title fights. He has officiated for the UFC, Bellator, IFL, and numerous other organizations during his long career. Additionally, he holds several belt ranks and instructor certifications in sambo, jiu-jitsu, karate, catch wrestling and wrestling.